Follow along as we explore the depths of the 10 best digital pianos for advanced pianist of the year. First, you’ll get to consult a table with a quick overview of our top 5 choices out of the 10 digital pianos reviewed here. Moving on, our editors prepared a short description for each entry with focus on main features. All mini-reviews end with a list of pros and cons for why you should or shouldn’t invest in that precise model. Therefore, our recommendations offer numerous useful added features compared to entry-level digital instruments. For instance, they all come with full 88 weighted keys and offer upgraded sound engines that do a great job replicating the original sounds of true concert grand pianos. The feel and weight of each key are specialized to the touch of well-seasoned pianists to further secure the acoustical similarities of concert grand pianos. First off, we’ll begin with the table below that offers a flash outline of our five best digital pianos for advanced pianists. The CFIIIS 9’ is what will embrace your ears as you press each key of the Yamaha P-115 digital piano. The sound of this concert grand piano has been successfully integrated into the P-115. As a leader in the digital piano world, Yamaha has untouchable sampling technology. What’s giving the P-115 model its amazing real-life acoustic sound is its Pure CF Sound Engine. 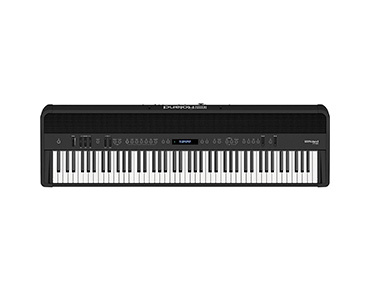 The Yamaha P-115 features graded hammer standard keys. In a sense, the keys are heavier on the low end and lighter on the high end of the keyboard. Lastly, the new tweeter configuration gives you more bright and expressive passages. You can find out more about it in our Yamaha P115 review. Our next best digital piano for advanced pianist is a compact ES8 by Kawai that presents itself as a powerful portable digital piano. Owners of such a unit find the built-in speaker system to be magnificent. All the 88 graded hammer action keys bring the entire suite of 34 instrumental sounds to life. The Kawai ES8 digital piano houses a USB connection that enables you to play and record MP3 files. 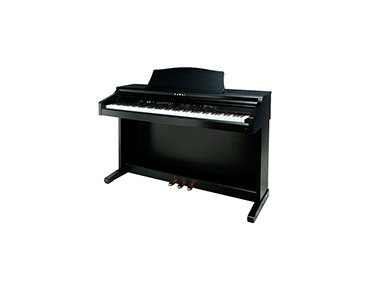 As for the design, this stage piano will give any room an elegant touch thanks to a shiny black finish. Such a beautiful instrument also comes with an optional music stand and pedal lyre. 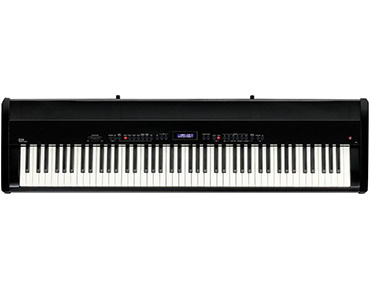 The Yamaha P255 has an even more authentic feel than the previous digital pianos in the P series. The voices of the P255 are produced by the Pure CF Sound Engine, allowing for a more realistic acoustic piano sound. This digital piano is slim and, therefore, easy to travel with. 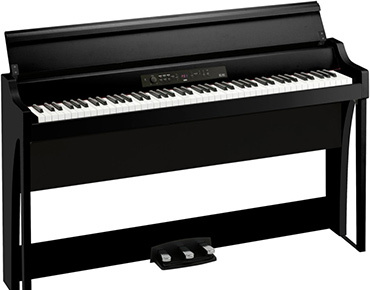 The Yamaha P255 digital piano utilizes sustain sampling. In other words, the piano responds to however deeply you press on the sustain pedal. The control of the piano sound lies beneath your fingertips as you play the 88 graded hammer action keys. 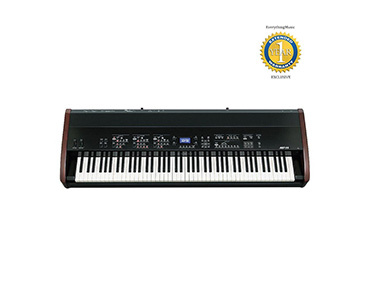 What makes the Korg G1 AIR model the best digital piano for advanced pianist is its dynamic sound and intricate detail to the award-winning Korg sound technology. For a smooth experience, users get a compact, slim design. Between its advanced audio technology and sleek craftsmanship, you have an outstanding sound and cabinet design. Comprised within the Korg G1 AIR sounds are three of the world’s most renowned pianos, the German, the Austrian, and the Japanese piano feels with 32 instrument sounds so you can choose which sound you like best when playing your piano pieces. 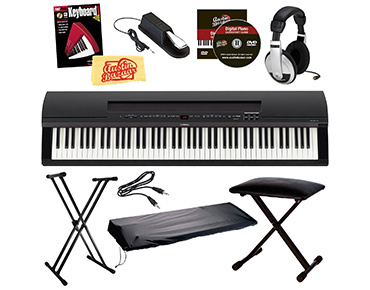 The sound of the Yamaha YDP184R Arius digital piano is built with the GH3 action keyboard. The keyboard is sensitive to touch allowing for an immersive sound. The way in which the piano resonates is very similar to the acoustic grand. Its sound engine houses the Yamaha CFX concert grand piano. 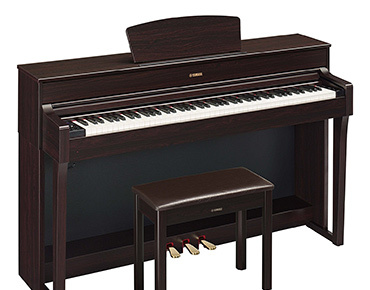 The CFX is the leading piano in Yamaha’s concert grand piano series. Therefore, the title of the best digital piano for advanced pianist isn’t far from its reach. The improved Virtual Resonance Modeling accurately calculates for a rich resonating soundboard experience. The Casio Privia Pro PX-560 digital piano was born for the limelight of the stage. This digital piano has amazing sonic technology that is crafted to take the music even further for the advanced pianist. 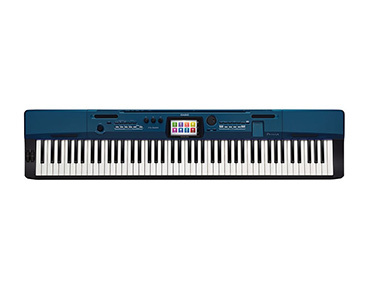 Its blue finish surrounds the 5.3” Color Touch display which is one of the reasons why users consider it the best digital piano for advanced pianist. Moreover, the PX-560 model also houses Casio’s famous Tri-Sensor Scaled Hammer Action II keyboard. These keys are well designed to replicate the realistic touch of a concert grand piano. The main source of this instrument’s superb sound lies within the Multi-Dimensional AiR sound source. Such a sound engine produces some of the most amazing piano sounds. The graded hammer action Yamaha Arius YDP-181 digital piano produces excellent sound through its 3-level AWM Dynamic Stereo Sampling Voices. This expressive piano has USB capabilities which allow you to store all your recorded songs on a USB drive. Its 128- note polyphony offer longer sustained legato note durations. Lastly, this unit allows for 3 song recordings which leads to some complex playbacks. All in all, this can very well be the best digital piano for advanced pianist if classical music is what you’re into. Built around a superior piano sound, this portable piano comes in at number three as we uncover the best digital piano for advanced pianist of the year. This instrument has a natural exterior design with even more natural sounding tones comparable to that of a true grand. As for the sounds, they change complimentary in regards to how you play the instrument. It has significantly strong built-in speakers with a various selection of piano sounds. Each sound is produced by the responsive hammer action keys. To make it a powerful synthesizer, owners get 316 sounds, 128 note polyphony, 1/4″ midi connectivity, 2 headphone jacks ports, 3 pedal inputs, and 10 preset songs. 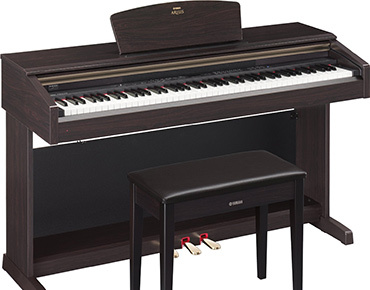 The Kawai CE220 digital piano has 88 wooden graded hammer action keys that are coupled with AWA PRO II Action power. It has dual, split, and four hands keyboard modes for beautiful teamwork. Moving on, the Progressive Harmonic Imaging sound engine produces exquisite acoustic sound quality. On top of that, the Kawai CE220 has a 3-digit LED display with dynamic on-board speakers. Users get to make use of maximum 192 polyphony sounds. Once the piano finishes producing musical creations, owners can benefit from several options at this point. They can transfer the composition to another instrument to add depth or upload it to their computers. 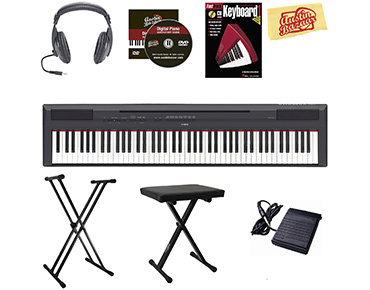 Finally, our number one choice for the best digital piano for advanced pianist has an authentic keyboard that allows you to connect on a deeper level with your music. With real wooden keys that have a grand feel action with let-off, the Kawai MP11 emulates wonderfully as the best digital piano for advanced pianist. At the end of the day, owners get acoustic, vintage sounds and auxiliary voices, all in one musical instrument. Moreover, this instrument comes with four external MIDI zones and USB capabilities. The MP11 design has a beautiful appearance that makes you believe that you are sitting at a real-life grand piano with its 3-pedal system. All in all, with all the digital pianos to choose from, finding the best digital piano for advanced pianist can be difficult. Our goal is to make sure you choose a piano that has the features that you need to meet your superior standards. We consider the Kawai, Yamaha, Korg, and Casio are some of the best brands in this industry. You’re invited to write your opinions regarding any of these models in the comment section below.